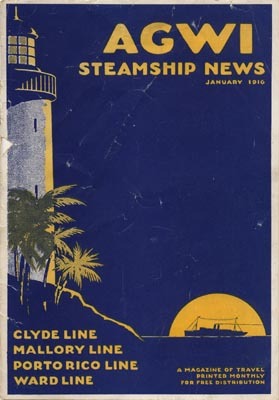 Porto Rico Line - New York & Porto Rico Steamship Co.
with photos of Captain Helgesen and ships he commanded. Ponce New York, San Juan. Called at "other island ports" between arrival and departure days in San Juan. San Jacinto New York, San Juan. Called at Puerto Plata and Sanchez between arrival and departure days in San Juan. San Juan New York, San Juan. Called at "other Puerto Rican ports" between arrival and departure days in San Juan. 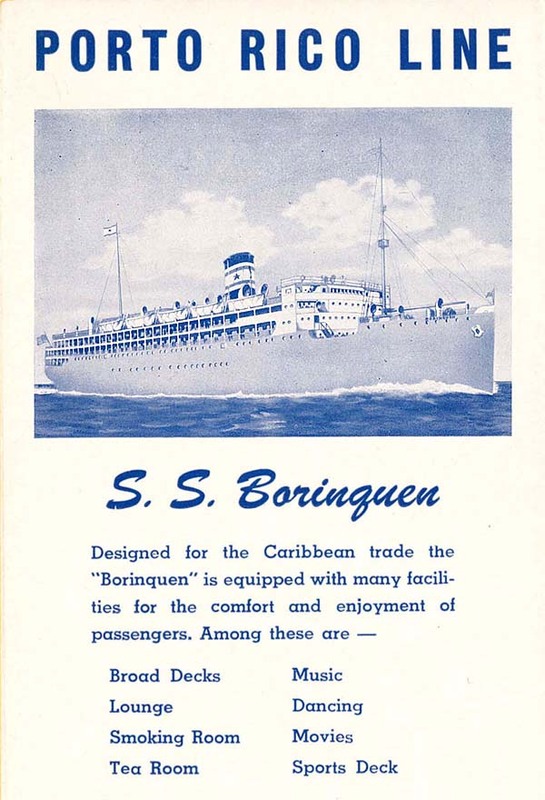 See the archives section for more brochures of Porto Rico Line.